What is average salary in Thailand? Based on our survey (924 individual salary profiles) average GROSS salary in Thailand is THB 1,188,078. Average NET salary is THB 958,295. The most frequent GROSS salary is THB 476,609. The most frequent education is Bachelors Degree. The most frequent experience are 4-8 Years. Below is the list of 924 individual salary profiles - all added on this website. Bachelors Degree, 8-12 years: "Overall take in Human resources in Local & Asia region"
Masters Degree, 4-8 years: "Provide executive support to the GM in daily administrative tasks"
Bachelors Degree, 8-12 years: "Handles Revenue and Reservations, budget, forecasts, procing, inventory management, team"
Masters Degree, 12-16 years: "Develop new business"
Bachelors Degree, 4-8 years: "managing hr department"
Masters Degree, 12-16 years: "Recruitment, payroll, visa and work permit." 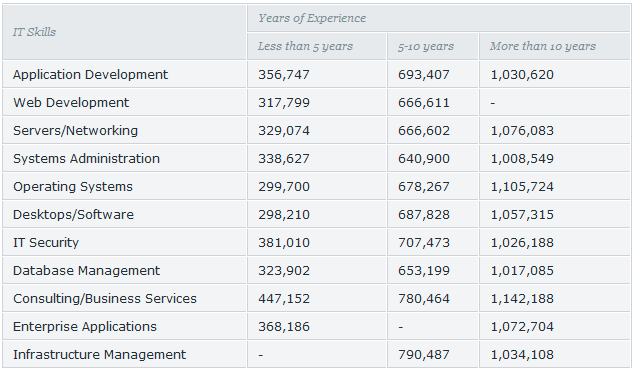 Bachelors Degree, 16-20 years: "BOSS AND WORKER"
Page 1 of 10, 100 of 924 salary profiles. The average income in Thailand for more educated employees and jobs in the biggest cities is from around 300,000 BHT per year to around 600,000 BHT per year, while wages for not educated workers can be much lower. As ZdNet Asia survey shows the average salary for IT's in Thailand is around 600,000 BHT per year. IT Project Manager earn around 1,000,000 BHT per year.